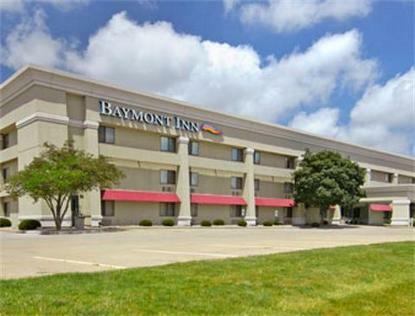 The Baymont Inn and Suites of Champaign, IL is pleased to provide our guests with exceptional service and quality amenities at an affordable price. Whether you are here for Business or Leisure you can enjoy our Fitness Center, Business Center, Conference Room, and Free Internet in all guest rooms, Free Cable, Showtime and much more. After a restful night of sleep, you can look forward to starting your day with a Complimentary Enhanced Breakfast. To make your stay even more rewarding, please join Wyndham Rewards, our guest loyalty program.We have several restaurants nearby Alexanders Steakhouse, Olive Garden, Chevys Fresh Mex, Hometown Buffet, Panera Bread, McDonalds, Culvers and the list goes on. We are minutes away from University of Illinois, Parkland College, Market Place Mall, Assembly Hall, Hardys Reindeer Ranch, Spurlock Museum, Virginia Theatre, Dodds Complex and several premier golf courses.